Alnico single-coil tone with modern refinements in a special color. If your holy grail is faithful alnico single-coil tone with modern refinements and superb craftsmanship, the Legacy makes for an excellent choice. The Legacy’s vintage-spec CLF-100 Alnico V pickups have that unmistakable chime and quack reminiscent of the best examples from the late ‘50s, thanks to the work of G&L's Paul Gagon. Gagon found his inspiration reviewing original prints stored in Leo’s private laboratory at G&L, but that was just the start. In the early '80s, Gagon was an R&D engineer at another company when he was tasked with finding out what was so special about the early bolt-on guitars many players raved about. Gagon analyzed many examples of what were considered holy grail guitars, spending time out on the shop floor talking to builders still working in the pickup department since the ‘50s, all on a quest to discover where the real mojo was – and wasn’t. The Legacy is all about honest, classic alnico tone complemented by Leo’s own modern refinements. And now, it’s available at a price within reach of every working musician. Case sold separately. 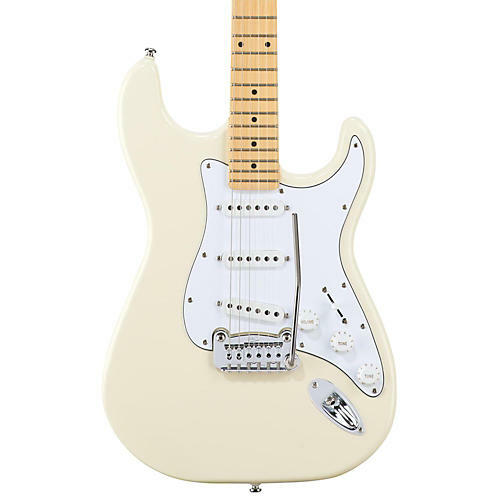 Once you play a G&L Tribute Series, you’ll never look back.